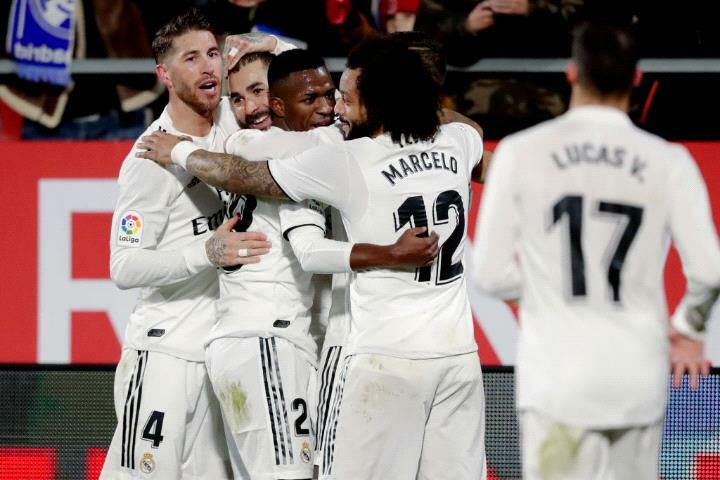 Real Madrid are into the semi-finals of the Copa del Rey following a 3-1 win at Girona on Thursday. Karim Benzema scored twice and Marcos Llorente added a third as Madrid went through 7-3 on aggregate. They join Barcelona, Valencia and Real Betis in the last-four. Barca are chasing a record fifth consecutive cup title, but Madrid are gaining momentum, having won six out of their last seven games, with the resumption of the Champions League just around the corner.